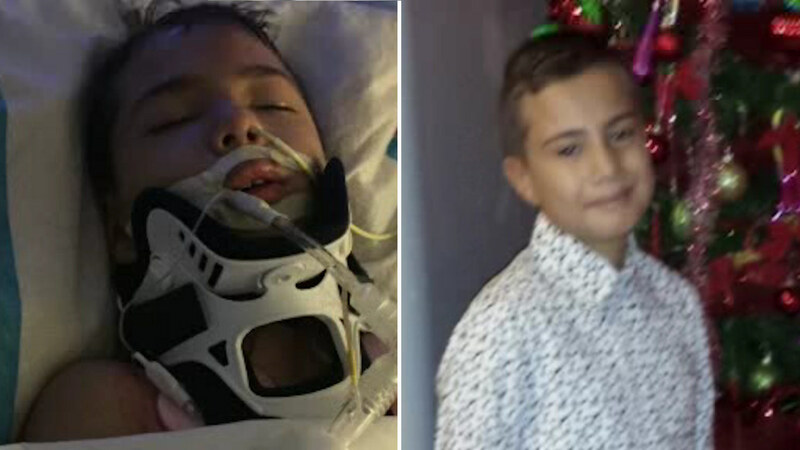 FAR ROCKAWAY, Queens (WABC) -- An eight-year-old boy with special needs who was critically hurt last week at his school in Queens is still unconscious and fighting for his life in a Long Island hospital. In a photo sent in by Daniel Martinez's family, the boy is seen with a neck brace in his room at Long Island Jewish Medical Center. Martinez was found unconscious at P.S. 253 in Far Rockaway at around 11 a.m. last Wednesday after suffering a fractured skull and a brain hemorrhage. Daniel's mother believes that he may have been pushed by another student, but the school says that it was an accident.